Dr. 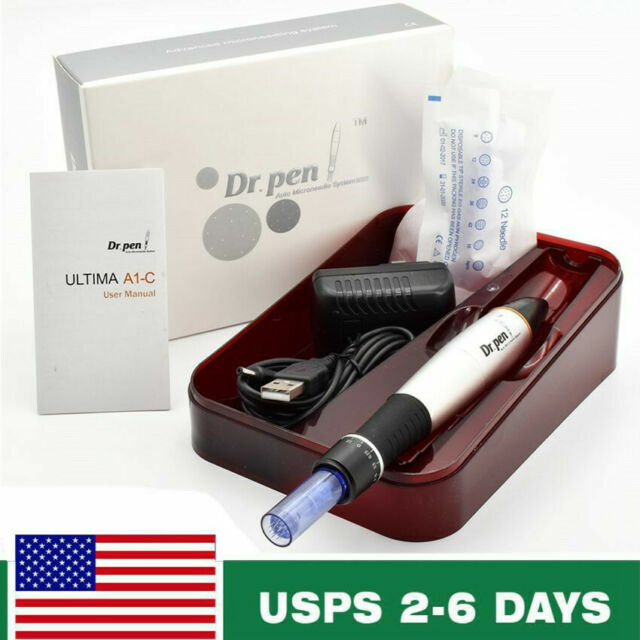 Pen Derma Pen A1 Stamp Auto Micro needle Adjustable 0.25mm-3.0mm Anti Aging. 1 Dr. Pen derma pen. Reverse age-related hair loss, restoring healthy, thick hair, a hallmark of youth. use one roller per one person only. I have only used it once and saw lightening of my age spots and some of my scar tissue has reduced. I bought a cheaper brand before and it allowed the the vitamin c solvent I used on my skin to be sucked up into the machine and quit working. I am very pleased with my purchase on this product. I already did 2 treatments. It's very easy to use , does the job. I love u can adjust speed and depth of the needles. I have used this once and noticed a huge difference. My smile lines have filled it! I used with hydrolonic acid.